Next Gen - Available as a download or stream? 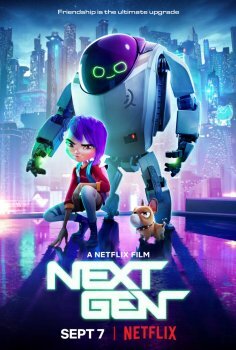 An adolescent girl befriends a top-secret high tech robot, uniting to rebel against the evils of their world. The voice cast features Charlyne Yi, John Krasinski, David Cross, Michael Peña, Jason Sudeikis, and Constance Wu.